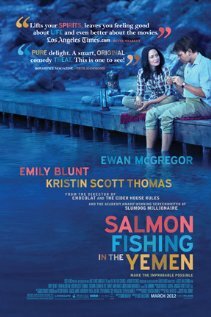 A couple of weeks ago, I watched the movie Salmon Fishing in the Yemen, featuring Ewan McGregor as the salmon expert. Ewan MrGregor also used to play the rogue trader Nick Leeson in the movie Rogue Trader. The basic idea behind the movie is that the rich Yemen Sheikh Muhammed really loves fishing, and now he wants to begin fishing in his own country. The problem is that Yemen is mostly hot desert, and Salmon prefers as you know cold water. But the Sheikh who also has too much money in his pockets doesn't care if the fish can survive in Yemen. He just wants to catch some of them and let the rest of them die in the desert heat. This car is a fully working replica of a 1950's Dodge Power Wagon, and it weighs about 50 tonnes. Inside the car you can find four bedrooms, a bathroom, and a living room - so it's actually possible to live in the car while cruising though the desert. When you have found a place in the desert where you want to work on your tan in the 40 Degrees Celsius, you can lower the rear ramp to the large cargo area to create an improvised balcony. 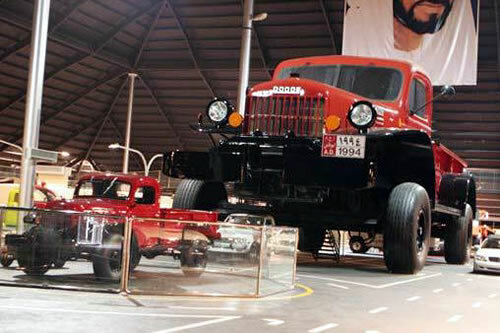 This is not the only large car available, the Sheikh also built a large replica of a Willy's Jeep - the Jeep famously used by the allies during World War 2. The movie is actually based on a book with the same title and is written by British engineer Paul Torday. I've not read the book, but I've learned that the book is a political satire, while the movie is more of a comedy. The book was written at the same time British soldiers invaded Iraq and Afghanistan, so that's the hidden metaphor, to force western culture on a country with another culture. Torday chose the country Yemen because it sounded like it was far away, and he had to base his facts on Yemen from magazines, because he wasn't allowed to visit the country itself.